Album number four from this British project (the Norwegian members having long since departed) is even more different from the ones that came before, representing not just the sound of a completely different band to 2005's Nouveau Gloaming but even a real break from 2013's Augur Nox. The weirdly-titled mut drops any pretence at extreme metal entirely, from harsh vocals to death/black influenced riffing, instead being a dreamy, languid form of progressive rock with heavy post-punk influence that delights in abstract structures and vocalist Wacian's heartfelt performance. Riffs still exist, but are different to anything before, forming background structures against which vocals mournfully reverberate - rather like a weirder Solstafir in some ways. These nine tracks are barely songs, hardly being catchy in the conventional sense although some bear what sound like the beginnings of hooks. Instead, these are more like mood pieces, closest in my lexis to the gloomy rock of Nick Cave & The Bad Seeds or modern Anathema than anything prog metal might produce. It gets very moody; the heartfelt Dialogue shows off Wacian's vocals well, for example, but the swelling backing music is as emotionally-charged. Affliction is downright ominous, a subtle threat constantly with you throughout the barely three-minute track, yet the following Contours is lazy, strummed melodies and quieter singing. Tracks towards the end of the album do seem to be better developed, such as the quirky Porcupine Tree-esque riffing of The Bloom in the Blast, but something is still lacking. 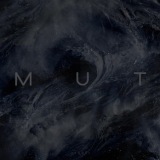 If this were a solo artist rather than a band, this would be the breakup album where pent-up feelings are messily expunged – I can't categorise mut so easily, however. What this album ultimately reminded me of was Ephel Duath's disappointing Hemmed by Light, Shaped by Darkness – interestingly, also on Agonia Records. mut is an album clearly charged with artistic intent, made by skilled artists, yet ones who struggle to put their vision across in a relatable way. Fans of any of the previous three albums from Code will have a set definition of the band in their mind, a varied and experimental metal band. This rejects the metal aspect of that, the very key that held the previous albums together as the work of a single band, and in doing so asks too much by presenting mut as a follow-up to the critically acclaimed Augur Nox - the closest thing to metal here is a Satyricon-esque drum pattern on Cocoon. If Code truly are leaving metal behind, then that's their prerogative, but they'll have to produce albums more revealing than this if they want to take us along with them. Ten minutes shorter and it could have made for an intriguing EP - instead, we have an interesting but disappointing album.